Avoid wearing jewelry (especially nose and tongue jewelry) when doing your lines. They will impair your speech and produce metallic clinking sounds that will be audible on the recording (sometimes called “audio bleed”). Once these sounds are recorded; they will be extremely difficult to remove from your performance during editing and post-production. Avoid bringing and using any smart devices and phones while doing your lines. These will also create unnecessary background noise that will “bleed” into the audio and be hard to edit out later. Furthermore, cell phones may cause signal interference with the booth’s audio equipment. It’s best to leave your devices and phones outside the booth, turned off, or switched to silent mode. Avoid making shuffling noises with the script’s pages. These will create shuffling and rustling sounds which will again “bleed” into the recording. Instead, lay them flat in front of you (probably using a music stand) and read them from there. Avoid making unnecessarily wild or exaggerated movements that might make you bump into mike stands or music stands, and avoid movements that may make you trip over any cables on the floor. Sometimes even the simplest of mistakes can ruin a really good vocal performance. Be mindful of these “No-no’s” so that you can give your best voice over ever. 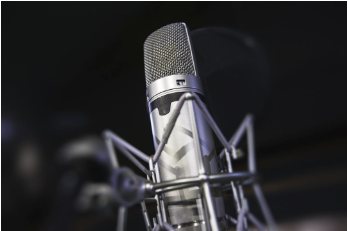 If you need help with voiceovers, ProVoice USA offers professional Voice over and Audio Production Services to help you find the right voice talents for your TV, Radio, E-Learning, and Phone message or greeting project. We can also help you with your Interactive Voice Response (IVR) recording needs; as well as with your Power point™ presentation voice over. With over 20 years of experience and a diverse roster of voice talents; we are sure to have the voice that you need. Call us up at (877) 865-3459 or e-mail us at info@provoiceusa.com for all of your inquiries and for more information.